ASG Social Responsibility Rep Position Open! Want to work on campus in a collaborative setting with other students, representing student interests? Want to be a social and environmental justice influencer? Look no further! The Associated Student Government of Bellevue College is hiring a student for the Social Responsibility Representative role. This important position is responsible for environmental and social stewardship and …more about ASG Social Responsibility Rep Position Open! King County Metro and Hopelink are working together to encourage people who live, work, and/or go to school in South Bellevue to explore new ways of getting around this summer by offering a free, two-week unlimited ORCA card or $15 REI gift card for walking or bicycling gear. Residents, employees, and students of South Bellevue …more about New Ways to Get Around + Gift Cards and Unlimited ORCA Card! The Office of Sustainability is Hiring!! Looking for a job that is fun, flexible to your class schedule, and lets you work on real world issues in social and ecological justice? Look no further! 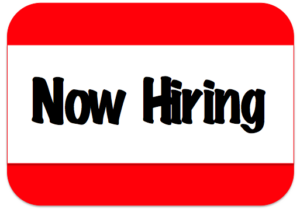 The Bellevue College Office of Sustainability is hiring three PAID student positions! We are seeking a new Transportation Coordinator, Outreach Coordinator, and Digitial Media & Communications Coordinator for …more about The Office of Sustainability is Hiring!! Combining Social and Environmental Issues by Creating Sleeping Mats made from Plastic Bags! With help from the BC community, the Office of Sustainability and the RISE Learning Institute are leading an exciting service learning project that combines social justice and sustainability issues. 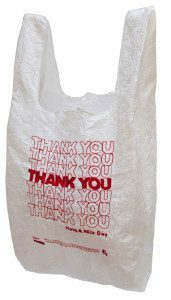 These two issues are both addressed by taking plastic bags out of the landfill and transforming them into sleeping mats for people experiencing homelessness. The mats …more about Combining Social and Environmental Issues by Creating Sleeping Mats made from Plastic Bags! Take the Transportation Survey for a Chance to Win a Prize! The Office of Sustainability would like to learn more about the transportation needs and wants of the Bellevue College community. Let your voice be heard by completing this survey that will help inform future decisions for transportation to, from, and on campus. If you would like to be entered to win a prize, just type …more about Take the Transportation Survey for a Chance to Win a Prize! EPIC Earth Week 2018: Empowering People & Influencing Change! On Monday April 16th to Friday April 20th, we have a very exciting line-up of activities for the campus and community to enjoy. Check out the poster below and the chart for a more detailed explanation of events. Check back here to keep up to date on any changes to the schedule! New this year …more about EPIC Earth Week 2018: Empowering People & Influencing Change! Travel to France to Learn about Sustainability, Science, and Engineering! There’s an amazing opportunity for students to travel to Paris and learn about the intersections of climate change, sustainable development, and science at the Environment and Energy Summer school in Paris through the French Embassy, June 2018. The program is specifically looking for environmental science, engineering, or similar students from community colleges in the USA. …more about Travel to France to Learn about Sustainability, Science, and Engineering! Free Sustainability Conference February! Apply Today! Hey BC Students! 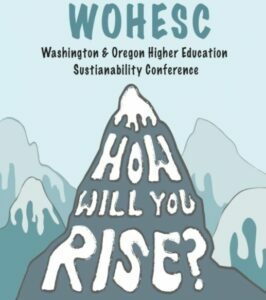 Join us for an ALL EXPENSES PAID (Free) trip to Portland, Oregon to attend the Washington & Oregon Higher Education Sustainability Conference February 6-8, 2018! Apply today! Applications can be found here and they are DUE JANUARY 19th: WOHESC Application 2018 The spotlight this year is on Equity and Diversity- Planning for Climate …more about Free Sustainability Conference February! Apply Today!